Several years ago I was disturbed by the comment of a senior politician of the coalition that was in power at that time, when he was asked about an extension to the suburban railway system to the western edge of Bangkok. "There's only factory workers out there" he was reported as saying; and the system expansion was delayed again. Apart from being flat wrong as there is a huge population as well as many schools and universities, why should the large population of workers that migrate from the provinces to work in the city be denied modern facilities? That answer may explain why for many years there were no Apple retail outlets on the Thonburi side of the Chao Phraya river. As residents discovered in the recent flooding, many people sort of forgot about the millions under water in Thonburi. 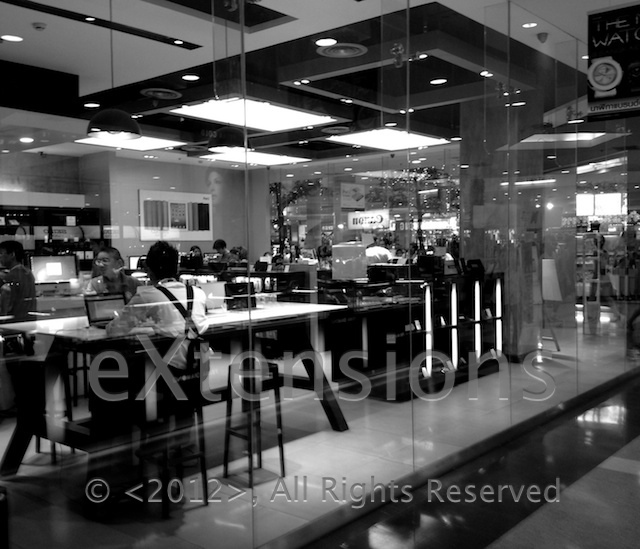 When I first started writing the eXtensions columns for the Bangkok Post in early 2003, there were no such outlets near where I lived and it meant a journey into the user-unfriendly Mac stores in Phantip Plaza until the forerunners of the iStudio outlets began to appear. 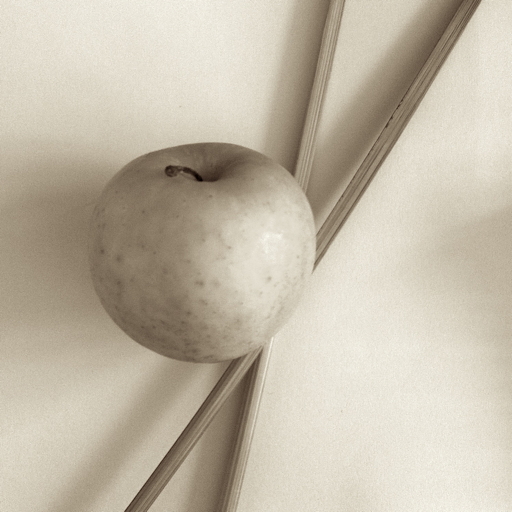 When I suggested that there was a potential for Apple retail in the west, I was sort of ignored and the subject was quickly changed. 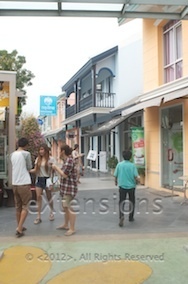 It is a bit different now and the expansion of iStudio outlets in the center of Bangkok began to extend to the outer suburbs: west and east as well as uStores on some university campuses. Eventually, an iBeat arrived not long after the Central Pinklao mall was opened. 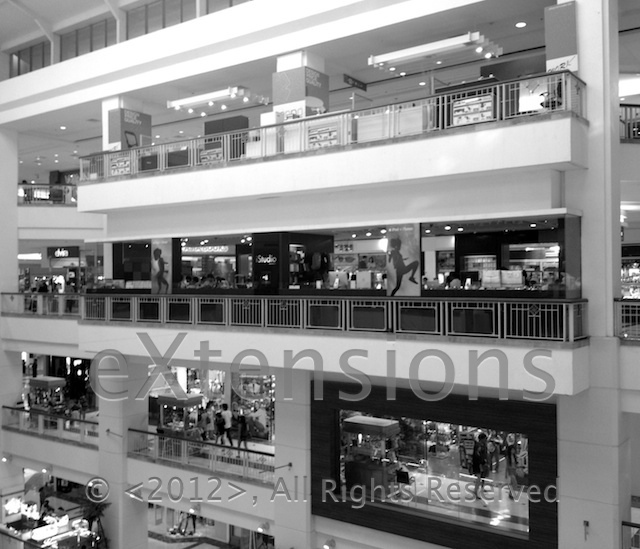 As the mall became more popular, the first iStudio was opened there on the 3rd floor, followed by an open-plan iStudio within the Power Mall section. This fits with the plan of the head of Apple here who told me that he wanted to see such outlets where people are already thinking about new computers or other devices and would feel less daunted than if they were entering the portals of an iStudio. 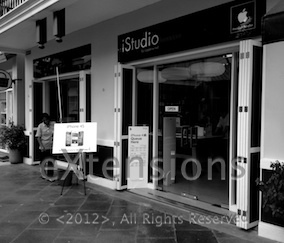 Within a short distance of where I am currently staying (on Petchkasem Road) there are four iStudio outlets. On Tuesday I went a-visiting. 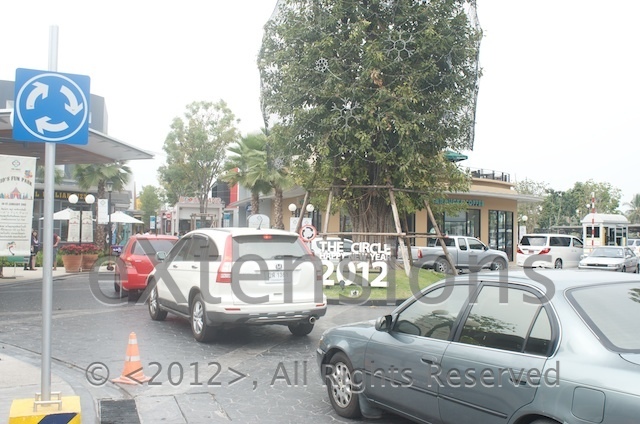 The first iStudio (by Copperwired) was on a new road that runs from the Thonburi side of Thaksin Bridge. The road is called Rajapreuk and when it opened was almost deserted. Things have changed considerably now and as well as several restaurants, housing estates and service stations, the traffic has increased significantly. 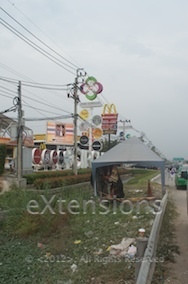 The road is a direct link from northern parts of Bangkok and Nonthaburi right into the city. There is now also a village style mall -- The Circle -- for those heading north (perhaps homebound) and I noticed when passing on the bus (89) a sign for an iStudio. The mall is set out like a village and is really popular at weekends I was told in the iStudio, which is located at units R12 and R13. They would not let me take photographs inside but said if it were to publicize the shop, I could contact their head office. As I am still waiting for a reply from Copperwired for an email I sent over 12 months ago, I thought I could make better use of my time. 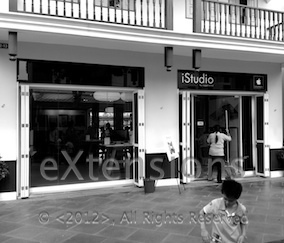 I already had several pictures of the outside which is more photogenic; and if you have seen one iStudio inside. . . . I asked while there about the iPhone 4S which was advertised (as it is everywhere else) with displays inside and out. There were none available, but they were hoping for more. A short bus ride, then a taxi took me to The Mall, Bang Khae, which only a few weeks ago had been almost inaccessible with the flooding that afflicted this part of Bangkok. 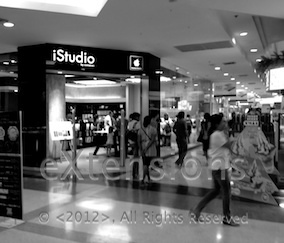 I had been to this mall just before Christmas and saw that the iStudio there (by Com 7), like its sister store at The Mall, Bang Kapi, near Ramkamhaeng University, had been packed out and mainly with youngsters who were keenly interested in the iPads. 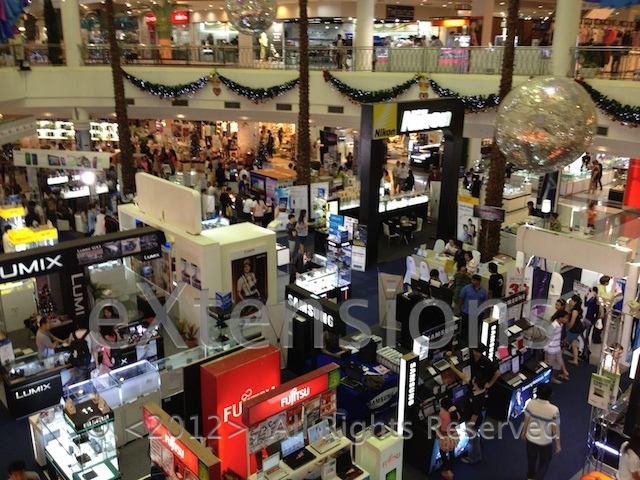 It was a little quieter here, post-New Year, but there was also much floorspace taken up by an IT show with displays from several of the retailers. Leaving The Mall, I went back over my tracks and made my way to Central Pinklao Mall where I had a quick look at the Copperwired iStudio inside the Power Mall (so quick that the photos were useless) and then had a look at the iStudio run by Com 7 which has a nice location on floor 3, but which is a little cramped these days. The stalls outside that have arrived in recent months all have Macs and sell lots of accessories for Apple products. 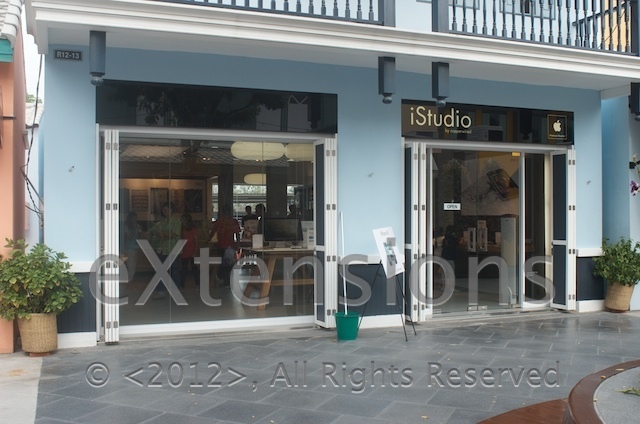 It might be useful if the iStudio store were able to take over some space of a neighbouring store. Those with Acer and Sony seem to be doing less and less these days.